As senior partner at Taliaferro, Carran & Cowherd, PLLC, Philip Taliaferro, III, is an experienced attorney who is dedicated to helping clients in a diverse range of practice areas in personal injury, wrongful death, tractor trailer cases and estate planning. Other members of the firm handle business law, family law, criminal defense, estate planning and probate needs. Phil is a graduate of Centre College and the University of Kentucky College of Law, and he is admitted to practice in Kentucky, Ohio, the U.S. Court of Appeals for the 6th Circuit, the U.S. District Court for the Eastern and Western Districts of Kentucky, and the U.S. Supreme Court. As evidence of his passion for the law and commitment to his craft, he has published articles in professional journals covering a variety of topics, such as wrongful death, punitive damages and silence as an admission of guilt. Throughout his career, Phil has earned numerous awards from different organizations in honor of his professional achievements and community involvement. The peer review service, Martindale-Hubbell, gave him its highest rating of “AV” Preeminent* in recognition of his professionalism and ethical standards from 1994 to present and has had a Martindale Hubbell “AV” rating from 1982 to present. Phil also enjoys being involved in professional and community organizations. 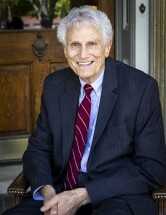 He has served as vice president for the Kentucky Academy of Trial Attorneys, as chairman of the Kentucky Personnel Board, an organization that adjudicates disputes between employees and employers within state government, and was on the Board of Regents for Northern Kentucky University (1987 – 1990; 1992-1997 - Vice President 1992-1993). He has long been active in leadership of Boy Scouts of America organizations and has served on the Dan Beard Council Board of Directors for more than 30 years. *Martindale Hubbell is the facilitator of a peer review rating process. Ratings reflect the confidential opinions of members of the Bar and the judiciary. Martindale-Hubbell ratings fall into two categories – legal ability and general ethical standards.